There is a lot of great career development content out there. As a blogger in that space, I sometimes find myself struggling to find a new perspective on popular topics for job seekers and young professionals. I also like to pay it forward, offering other bloggers the opportunity to provide insightful and relevant information to the Campus to Career readership. You might remember Josh Tolan’s recent guest post, How to ‘Savvy Up’ Your Communication Skills on Your Online Job Seeker Profile, a submission for Campus to Career’s Guest Blog-a-Palooza. That article generated quite a bit of buzz! 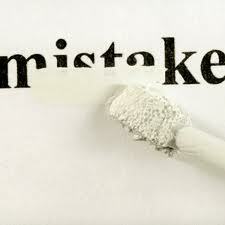 He’s done it again – this week, Josh brings you some advice on the most common job seeker failings. Check it out below. Job hunting is tough business. With 8.3 percent unemployment, the field is filled to the brim with other job seekers just like yourself vying for a position. So if you’ve finally nabbed an interview at your dream company, you might feel like the battle is already won. You beat out the complicated ATS and your resume impressed recruiters. But the battle isn’t over! Now you have to impress hiring managers in your interview. According to a survey of employers, not doing enough research and “winging” the interview are two of the top ten most common mistakes job seekers make. Whether your interview is in person or through online video, it’s essential you do your homework prior to putting on your business attire and heading out the door. Before walking into your interview or firing up your webcam, you should have the job description down cold. You might have applied for a good amount of jobs before landing this interview and it’s possible you don’t quite recall the job description which caught your eye. Read and reread the job description before showing up for the interview. Make sure you can back up the posted responsibilities in the description with examples of how you are uniquely qualified to address these concerns. Almost every company has a website in today’s technology-driven business environment. Use this website to familiarize yourself with what the company does and the organization’s overall goals. The site might even contain recruitment videos (like this hilariously low–budget outing from Twitter) you can watch to find out more about the company culture. The job description and the company website are both obvious places to look for information on the company. Almost every candidate will be checking these readily available sources of information. If you want to differentiate yourself as a great candidate, it’s time to reach out to your network. Check your connections on LinkedIn or find out if you know anyone within the company. Once you’ve found a link into the company, see if you can speak with them briefly about their working experience. This source could give you valuable insights into what the organization is like, what challenges they are facing, and what kind of candidate they are looking for. Up until this point all of the information you’ve received has been internal to the company. Now it’s time to start looking at some external sources. Look to the press and read the company’s coverage. Press could be anything from a magazine article, news in a trade publication, or a post on a prominent blog. This information can often show you sides of the company not present on their website. Once you have all this information compiled and filed away in your brain, show off your work in the interview. Tailor your skills to the job description and show how you can bring value to the company. Mention a current employee you’ve spoken to and highlight something positive they said about the company which resonated with you. When the interviewer asks if you have any questions, maybe ask about their overseas expansion you read about in an industry publication. All these tricks will show employers you are detail-oriented and willing to put in work to get what you want. What are some ways you do your homework before a big interview? Share in the comments! 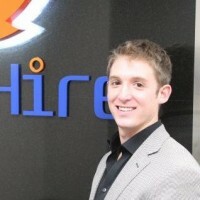 Josh Tolan is the CEO of SparkHire, a video powered hiring network that connects job seekers and employers through video resumes and online interviews. Connect with him and Spark Hire on Facebook and Twitter.